A screening for oral cancer isn’t just any medical exam, it’s an opportunity for a person to talk to their dentist in Lynnfield to discuss any concerns they may have, address any abnormalities that their dentist may notice, and ultimately get their oral health on track. If you’re unsure about an oral cancer screening and what it can really do for you, now is the perfect time to continue reading this article and discover how your dentist can help you. 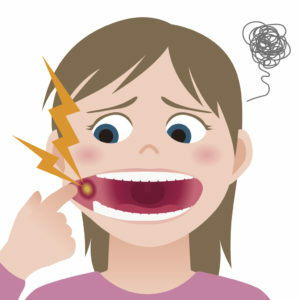 Face the Facts About Oral Cancer and Avoid It! There are an estimated 49,670 oral cancer cases for the year of 2017. Just about 9,700 people are expected to die from oral cancer in 2017. When diagnosed in the late stages, patients face a 40% death rate. Although those statistics are pretty grim, there’s still hope! Rather than with late detection, early diagnoses have a survival rate of up to 90%! Recognizing the signs early on is critical to slowing down and even stopping the progression of the disease. During each visit, your family dentist in Lynnfield will work to educate you and make you more aware of oral cancer and preventive care to avoid coming face to face with the disease. Since you should be visiting the dentist only 2 times a year, your dentist should screen for oral cancer every appointment. Has it been longer than 6 months since your last appointment? You may need to have your oral structures examined for any dangerous symptoms of oral cancer. Many patients aren’t aware that their lifestyle is contributing to their high-risk dental status. During your visit, your dentist should stress the importance of keeping your dental appointments and eliminating tobacco and excessive alcohol use. By following these simple steps, you could dramatically decrease your chances of developing this debilitating disease. Need a biopsy? We have you covered. In the case that we see an abnormality, we will conduct a biopsy right away. As soon as we receive the results, you will know. This way, we can work together to develop a plan for treatment and recovery. If you ever feel something abnormal or spot unusual changes in your mouth, feel free to reach out dentist before you’re experiencing pain. If your mouth feels normal, it’s still important to visit your dentist every 6 months for a complimentary oral cancer screening in Lynnfield. With dentistry, prevention is always better than addressing an actual dental problem. This goes for oral cancer especially! Need to schedule a dental visit? Feel free to contact our friendly office team to book our next available appointment.